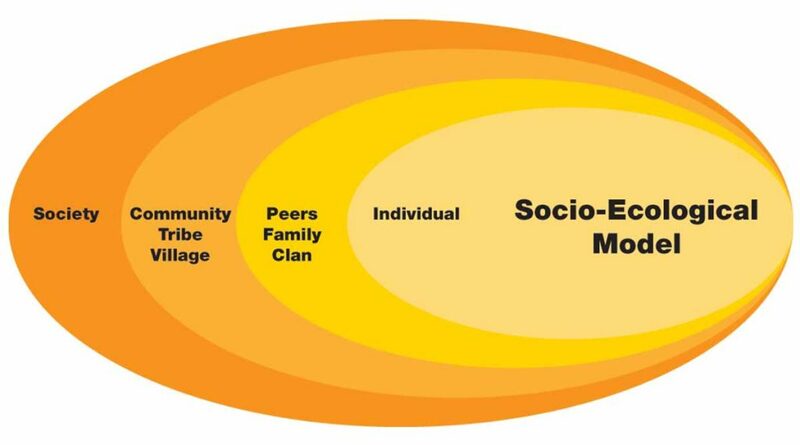 Connect uses a socio-ecological approach as its theoretical construct. While suicide is generally the act of an individual, it occurs in the context of the individual’s relationships, community, larger society, and culture in which we live. Certainly the suicide death of an individual can profoundly impact family, friends, coworkers, and community (and beyond for well-known, or high-profile deaths). In developing Connect, we have been mindful of how to work within these multiple systems -often simultaneously. Effective change requires working within multiple environments which is why Connect is committed to promoting community-based implementation efforts. Connect adheres to the principals and goals of the National Strategy for Suicide Prevention and has worked to incorporate many of the objectives into our work. We are also committed to incorporating Evidence-Based Practices for suicide prevention, intervention, and postvention as research in these areas determines effective practices.